Top Image Systems signs agreement to acquire cloud-based banking solutions provider, EGistics. Prestadero raises more than $670K in series B funding round. ACI Worldwide to bring electronic billpay to Southern Auto Finance Company (SAFCo). P2Binvestor crowdlends $2 million line of credit to fellow Finovate alum. Mike Branton of StrategyCorps discusses the “three big threes of checking” in CB Insight. 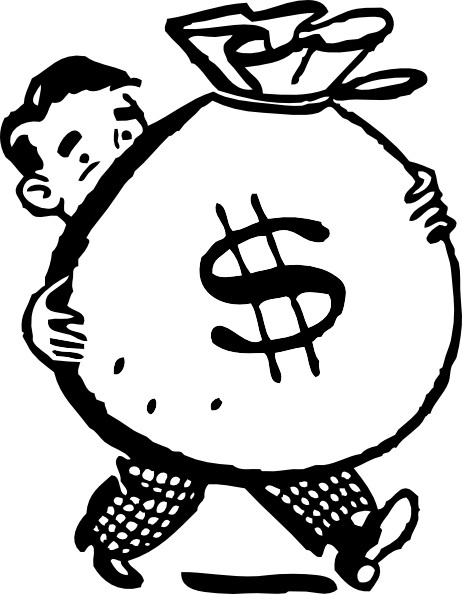 Lending Club facilitates $1 billion of loans in Q2 2014, which brings it to a total of $5 billion since its inception. ReadyForZero announces two new resource centers: Get Out of Debt and Auto Loan Resources. First American Credit Union hires Insuritas to launch insurance agency to build non-cyclical fee income. A week after we published our quarterly alumni funding roundup for Q2 2014, it looks like Q3 is already off to a nice start on the funding front. At the beginning of the month we shared news of Moven’s $8 million funding. And the strides Yodlee is making toward an IPO sooner than later made headlines soon after. 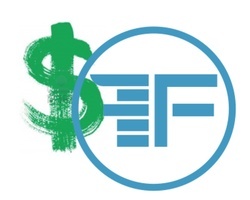 And now today we can add Prestadero to the list of Finovate alums that find themselves in a money-raising mood. The peer-to-peer lender finished its second round of funding by raising $677,000 (8.8 million Mexican pesos). The investment more than doubles the company’s previous total of $400,000 – raised almost a year ago to the week – taking Prestadero’s total capital to more than $1.7 million (more than 13.8 million Mexican pesos). Prestadero will use the additional capital to add new functionality to its platform, and to accelerate growth. 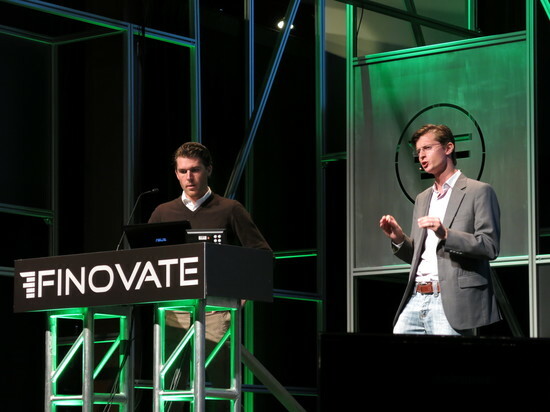 Prestadero demoed its technology at FinovateSpring 2013 in San Francisco. See a video of the company on stage here. P2P lending platform Prestadero released growth figures this week that attest to the growing popularity of non-bank lending intermediaries. The Mexico-based company offers unsecured personal loans from $10,000 to $250,000 pesos at rates from 8.9% to 28.9% per year. These rates are much more attractive than classic credit card APRs which, in Mexico, average 56.32%. Prestadero debuted its platform at FinovateSpring 2013. Check out the demo here. The third quarter of 2013 revealed that even during the sleepy days of summer, the business of putting capital into the coffers of fintech innovators remained as busy as ever. Finovate alumni were the beneficiaries of more than $171 million during July, August, and September. This brings the total year-to-date funding for Finovate alumni to at least $526 million (some of the funding amounts were undisclosed). Note: Fundings prior to a Finovate appearance not included. Questions? Comments? Email us at julie@finovate.com or david@finovate.com. Prestadero raises 5 million pesos ($400,000 USD) in first round of funding. Geezeo partners with OSG Billing to offer new ways to leverage PFM within the bank statement. eToro OpenBook now a single-page application since Copy.Me is discontinued. The Sunday Times features Zopa. The Financial Brand takes a look at mobileBanker, a turnkey solution for mobile sales from Zenmonics. See Zenmonics at FinovateFall in September. FTRANS raises more than $2 million. TechCrunch interviews Michal Panowicz of mBank. Peer-to-peer lending platform Prestadero today announced it raised its first round of funding, totaling 5 million Mexican Pesos ($400,000 USD). The round was led by Venture Partners Mexico. Up until this round, CEO Gerardo Obregon has self-funded the startup since launching it in 2011. 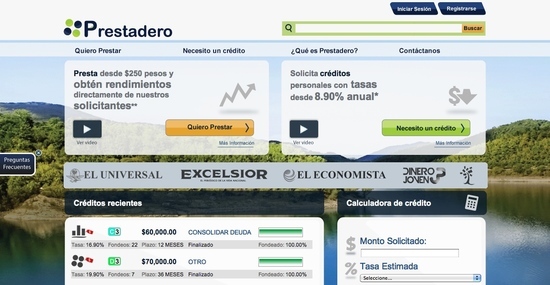 Prestadero plans to use the funding to attract new borrowers and lenders and to accelerate growth. Having only been in operation for a year, the Mexico City-based company has loan requests of over 120 million Mexican Pesos and offers net annualized returns of 16% for lenders, and rates from 8.9% to 28.9% per annum for creditworthy borrowers. 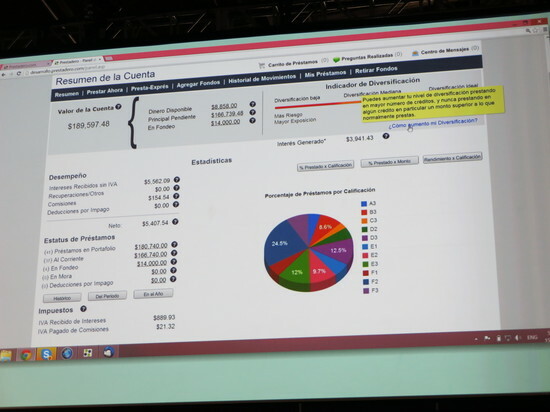 To see Prestadero’s platform in action, watch its FinovateSpring 2013 demo.